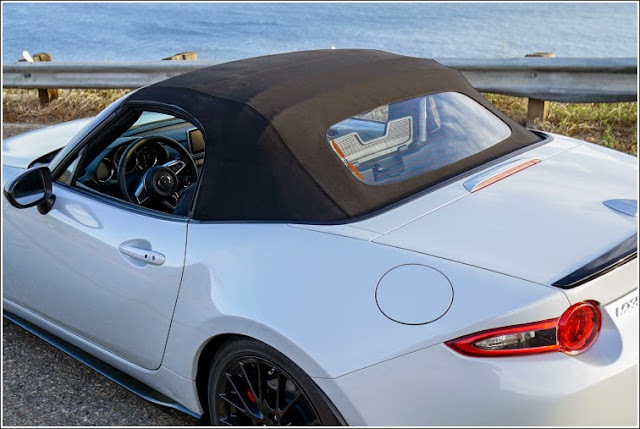 The MX-5 Club is not a special edition in the usual sense, but it is different enough to other models to be worth a mention here. 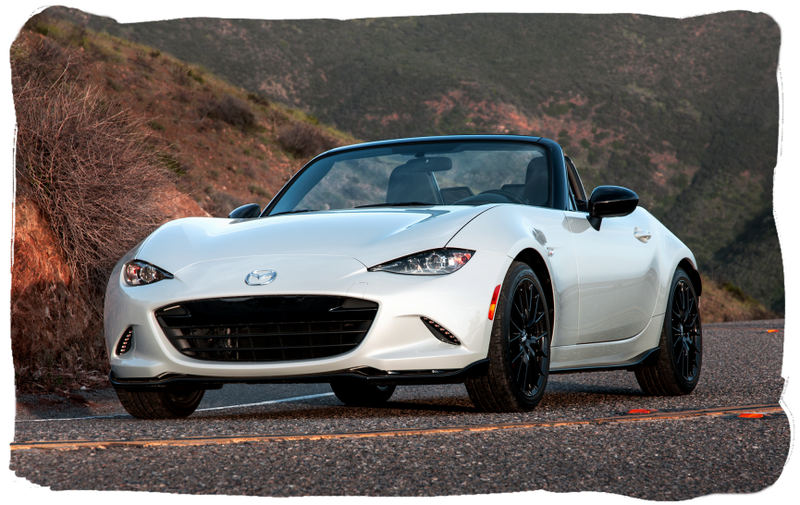 Club is actually a trim level that sits in the middle between Sport and Grand Touring for the USA market. Being a USA-spec car, Club is powered by the 2.0 litre Skyactiv-G and has a choice of the 6-speed manual or 6-speed automatic transmission. 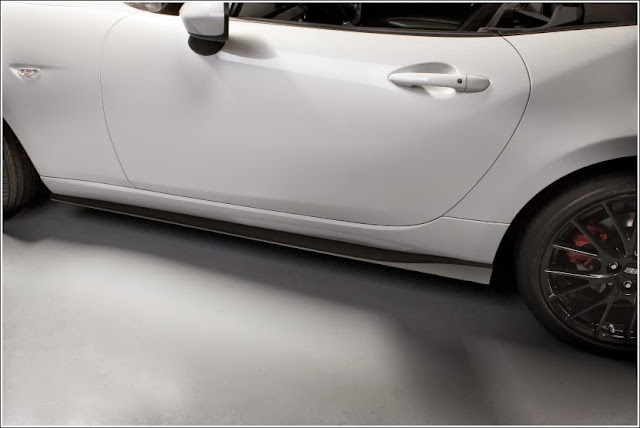 Manual cars are fitted with a few performance extras such as the uprated Bilstein suspension, Super-LSD, and front suspension tower brace bar. I guess if you buy the automatic you could add the bracing and Bilstein setup later on. Club was said to represent the most aggressive road-going example of Mazda's fourth generation Roadster. 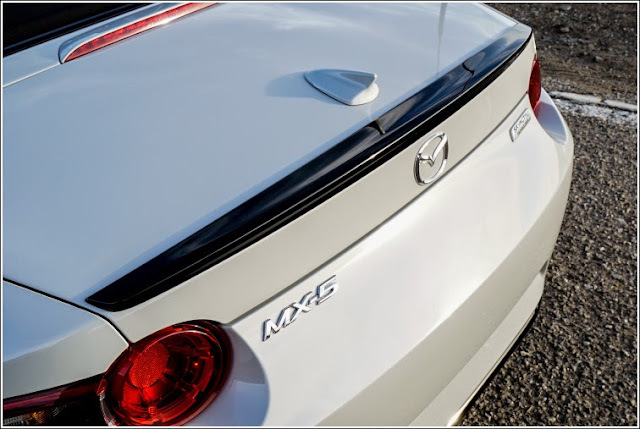 Most MX-5 fans interpreted this to mean the car would be equipped with the accessory package first seen on the Cup concept and later on the Accessory concept. The reality is a little different as only half the kit comes fitted as standard. 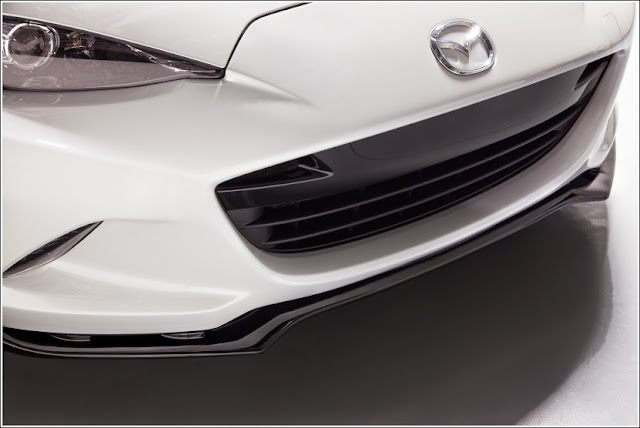 The front air dam and rear lip spoiler are included in the price, but you will have to pay extra for the side skirts and rear skirt if you want to complete the look. As standard the car comes with a gunmetal version of the 17" 8-spoke alloy wheel with 205/45/17 tyres. 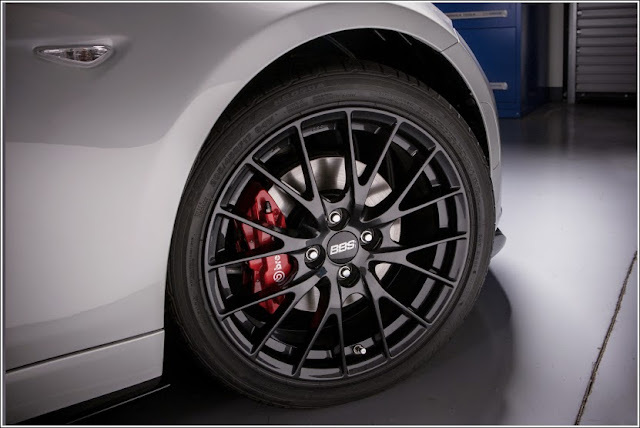 The black 17" BBS forged alloy rims and red Brembo brakes are an optional extra. If the car is ordered with the extra options, the standard rear brake calipers are given a red paint finish to match the upgraded front Brembo parts. 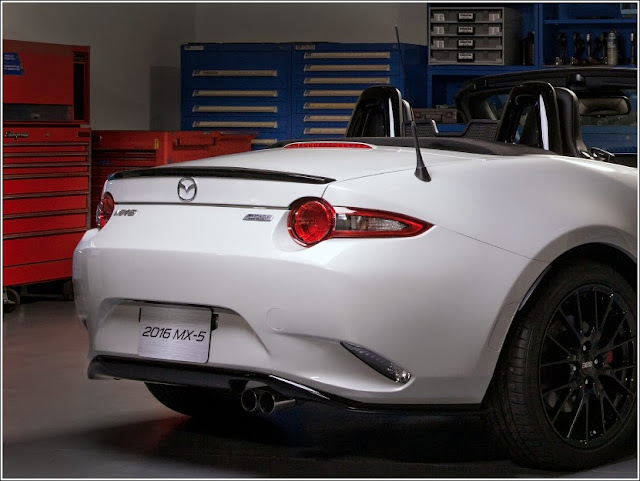 It would have been nice to have everything included but that would likely push the asking price up past the Grand Touring model which is supposed to be the range-topper. With the full set of options added the Club is effectively a road going Cup but without the stripped out interior and track tyres. Unlike the NC Club, there doesn't appear to be any special badging or decals to further identify the car. 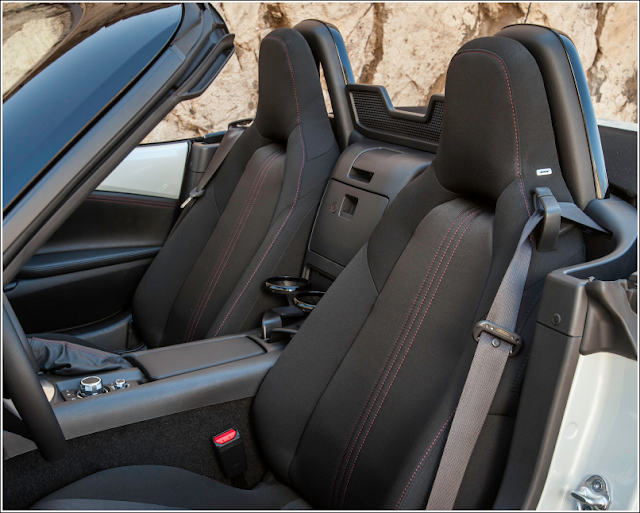 For the 2018 model the standard black cloth seats were changed to heated black cloth with red stitching. The Recaro heated seats were added to a new optional Brembo/BBS/Recaro package, and the non-Recaro Brembo/BBS package was upgraded to include heated leather seats replacing the standard cloth version.